What types of fence panels are available? The most commonly used fence panel is a standard waney edge panel. This fence panel offers the best value for money and is made out of horizontal strips of wood. Another type of fence panel is closed feather-edge panels. These fence panels provide a very strong form of fencing best used with concrete post. The strips of wood are vertical. There is also a range of decorative fence panels and are ideal if you want a real showstopper fence, such as one with curved trellis at the top. Wood fence panels come in many varieties, depending on your budget and the look you desire. 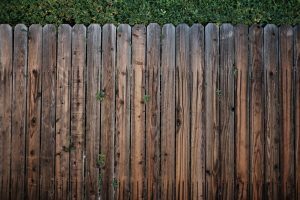 Do gravel boards help a fence last longer? Gravel boards are a protective barrier between the ground and your fence panels. Normally used with a feathered fence, they ensure the individual feathers are off the ground, thus helping to prevent rot as the boards aren’t in contact with the earth. If you are installing a waney edge fence panel, you don’t need a gravel board as long as there’s a small gap between the ground and the fence panel. Concrete gravel boards are more expensive but should last longer than wooden ones. Should a fence be treated with preservatives? The fence and fence panels should already be tantalised. This is a treatment carried out by placing the timber in a big tank where a preservative is forced into the wood under pressure. If you are going to treat your fence panel then ensure the material used is oil based. How long does it take to put up a fence panel? To put up a fence panel it depends on the ground conditions. This is because most of the time is taken up digging the holes for the post to be fitted in. If the ground is easy to dig then it should be quicker to install your fence panels.